The amazing Konnie Huq can speak at your event! As a booking agent for Konnie Huq, we can arrange for her to entertain your guests. 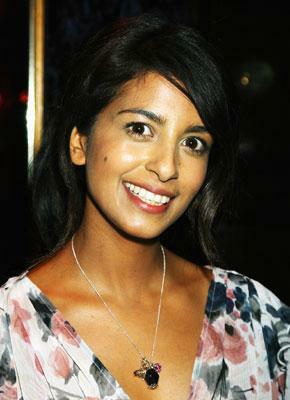 In 2007 Konnie Huq saw out her tenth and final year in Blue Peter after becoming their 26th presenter on 1 December 1997. Konnie Huq started her presenting career when she was just 17, fronting a number of children’s programmes on The Children’s Channels, CBBC and GMTV, whilst, at the same time, completing an Economics degree from Cambridge. Konnie Huq also appeared on the BBC show Newsround as a child, when she interviewed Neil Kinnock before the 1992 General Election. Konnie’s years on Blue Peter saw her taken to the far corners of the world, and among many Blue Peter highlights are: learning to scuba dive, visiting Mozambique to open one of the schools paid for by money raised during the Blue Peter New Future Appeal in 1999, a trip to the village in Bangladesh that her family originate from and learning how to be a rally driver. In addition to this Konnie Huq has also been entrusted with interviewing leading stars from music and film as well as two former Prime Ministers: Tony Blair and Gordon Brown. Music is a lifelong passion of Konnie’s and she feels lucky to have had the opportunity to present such iconic music shows as Top Of The Pops for BBC1 and The Tube for Channel 4 Radio. Konnie Huq trained at the National Youth Music Theatre alongside the likes of Jude Law and Jonny Lee Miller. Her cameos include playing a servant (called Konnie) on the last episode of the second series of Robin Hood. She also hosted ‘London Talking’ – a topical debate show transmitting on ITV1 -the highlight of the series being Konnie hosting the animated Mayoral debate between Ken Livingstone and Boris Johnson. Konnie Huq has many feathers to her bow and her versatile presenting style enables her to lend her experience to a wide range of topics, from covering New York and London fashion week for ‘Lorraine’ to presenting major sporting and fashion programmes over the summer. She presented Zoo Days for Channel 5, jetting around the world as the presenter for the Red Bull Air Race on Channel 4 as well as presenting for GMTV. Konnie Huq presented the prime time series “Guinness World Record’s Smashed” on Sky One and then headed straight to Canada to film Adrenalin Junkie with Jack Osborne for ITV2. Once again showing that she’s not just a pretty face, in 2010 Konnie further demonstrated her active side in ITV’s 71 Degrees North, which saw her and 9 other celebs attempt to make it to North Pole – 71 Degrees North. In the later part of 2010 Konnie Huq landed the hottest TV presenting job in the country as the roving behind the scenes reporter on ITV’s 7th Xtra Factor series, and delivered the highest ratings of all the series to date. Whilst undergoing her Xtra Factor presenting duties Konnie jumped on the mic again, for ITV2’s series of Under Pressure. Under Pressure gave Konnie Huq the chance to achieve her secret desire of becoming a rapper and take on the challenge of learning the art of spitting lyrics and becoming a real life MC, with the ultimate aim of performing her own rap on-stage in front of a crowd of 3000 rap fans at the Indigo2. Over three weeks and during the filming of Xtra Factor, Konnie Huq lived and breathed the life of an MC with mentor, Mobo award-winning rapper Akala (Ms Dynamite’s brother) and a selection of mentors from Roll Deep’s Manga to J2K and upcoming female rapper Baby Blue. With their help she successfully showcased her lyrical prowess and wowed audience’s at the Indigo2. Not to forget Konnie’s interest in current affairs, she also presented Current TV’s Shocked Britain, a week-long documentary series that went behind the headlines that shook the nation. The series used exclusive access to key archive news footage, to uncover the most shocking murders, deaths, crimes, terror attacks, celebrity scandals and disasters and headlines of the modern age. Konnie’s appeal extends beyond the UK; she illustrated her global qualities in Discovery Asia’s “Lonely Planet Six Degrees: China”. The episodes followed Konnie Huq as she delivered the scoop on China’s most intriguing facts, traditions and customs. The talents of Konnie Huq are not just limited to presenting, she is also an impressive writer. She co-wrote the second instalment of the successful and critically acclaimed Channel 4 series “Black Mirror”. Contraband is the UK’s top booking agent, with affable, experienced account managers who guarantee you the best deal possible. Contact us today if you would like to book Konnie Huq to be the headline of your event! We as your booking agent are more than happy to help you create the most memorable moments with Konnie Huq.